I usually do laundry on Sundays & seems like that is what I do ALL day long. So I decided I'd do at least one load a day & see if that helped out on Sunday's laundry marathon. Some days this week I did more than 1 so it really did help out on Sunday. 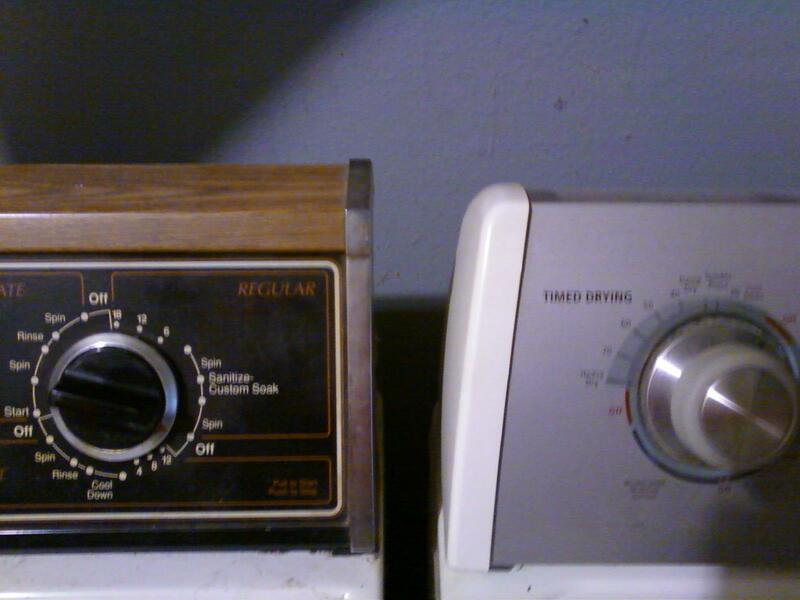 Don't you like my mis-matched washer/dryer? We've had this washer since we've moved into the house. (18 years) The dryer has been replaced once & thus the mismatch. However it's time for an update (dryer issues) & I'm trying to decide if I want to replace both or just the dryer. Love Your Earth + Furniture "shopping"